Using Our Fun & Easy Method. Most people fail to learn Korean because the materials are not fun, aren't useful in everyday life, lack clear explanations and their methods don't stick. Receive weekly course material in your inbox and go through them at your own pace. You won’t be restricted by others schedules - you set your own! Stay motivated and on track by setting clear goals before you get started. You’ll get regular checkin from your assigned personal learning coach to help you stay on track. We use the 80/20 learning method, a psychological tool to help you retain information and learn only what you need to know. Never waste time studying unnecessary lessons! All this for a fraction of the cost of university courses and private tutors - all from the comfort of your home! I have tried hagwons, private instructors and other online Korean sites yet I never really expanded in my Korean language skills. 90 Day Korean's practical interconnected lessons made it much easier for me to absorb the material and they've given me a strong grasp of the fundamentals and I am integrating it into real conversations for the first time. There are ONLY 6 spots left for April! Get weekly lessons delivered to your inbox, just like the Hangeul Hacks series. Instead of homework you get challenges and rewards to help you stay motivated. Get stuck or have an issue? Email us any time and get your question answered. Have your writing or work checked by native Korean speakers any time. Never procrastinate again! You’ll get a personal coach to help you with your studies. Test yourself regularly with our quick and fun Synthesis check-ups. Students Are Just Like You. And they love every minute of it! Life in Korea is totally different for me now. I used to be of those guys fumbling around with a mix of English and Korean whenever I'd try to communicate. Now I can talk in Korean with confidence when I order food, ask questions at a store, or talk with Koreans. I'm not a natural language learner, but it was quite easy using 90 Day Korean's teaching methods. It's been a lot of fun, and I've recommended their program to all my friends. It's easy and it works. for More and We Delivered. 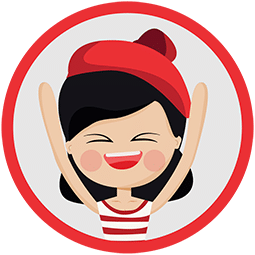 Some students didn’t want the fun to stop after 90 days, so we created additional modules to guide you towards higher levels of Korean. 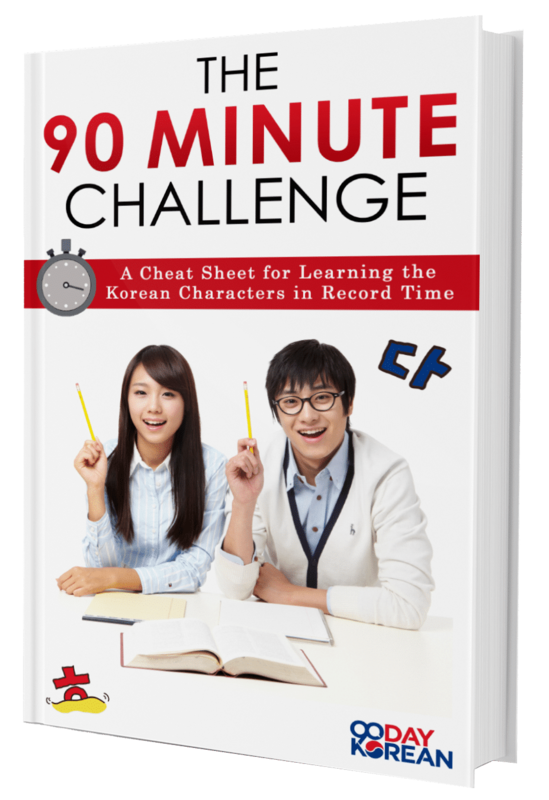 The first 90-day module gets you up to the point where you'll be able to maintain a 3-minute conversation with a Korean! You'll also learn to order in restaurants, take taxis, talk numbers and money, write Hangeul, ask and answer questions and make small talk with Koreans. Life will be a lot more independent and you'll have a lot more options in terms of the conversations you'll be having and people you'll be having them with! Wish to take things further? The second 90-day module is all about honing in and upgrading your abilities – adding more subtely and precision to your communication. Sit down and chat with a Korean about your unique past, what you're doing now in the present and your exciting plans for the future. It's all about expanding your communication to the point where you're able to interact just like a local. We've listened to student feedback and have now created our best module yet – a module completely based off what you told us you wanted! Learn the ins and outs of the language including slang and other forms of communication so you can impress all of your friends, understand all of your favorite dramas and lyrics, be able to talk about everything going on around you, and become an engaging Korean extrovert! Just when you thought it couldn't get better, module 4 truly delivers! 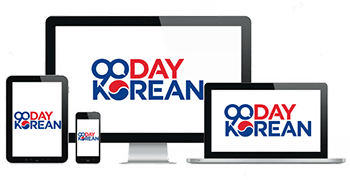 Together, we delve into more of the subtleties of Korean speaking, allowing you to become a polished presenter in the way you communicate - whether it be in the office, the classroom, the streets or your own home! Armed with this knowledge, you'll bring your Korean level to new heights.